Welcome to Our Oasis Charity, a Non profit making organisation. We are a charity organisation based in the UK. Our mandate is to support, help and empower those suffering in Southern Africa. We also work with with UK local community to tackle and support victims of homelessness and domestic violence. The sad truth is that poverty is constantly rising and as a direct result of this children, young people and women suffer the most. Our Oasis Charity aims to support those suffering with the provision of food, clothing, sanitary towels, school fees and accessories to those who are urgently in need. We have identified that there are areas that not easily accessible and reachable due to infrastructure and logistics. These are our target areas. No child deserves to go hungry, but children in Africa go for days without food or drink. £35 will feed a family for a month. 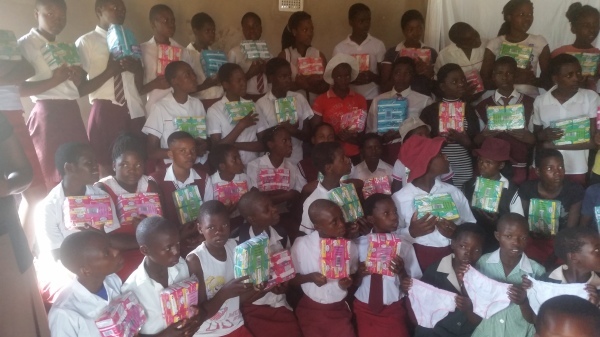 Sanitary towels provide dignity and safety to a girl child. £10 will ensure that 20 girls attend school during their periods and do not have to stay away from school to avoid embarrassment and maintain their dignity. "No Act Of Kindness No matter How Small Is Ever Wasted"